P.F. Chang's Garlic Chicken with Dan Dan Noodles — I Am Tired of Cooking! The only thing better than enjoying a delicious meal at P. F. Chang's is enjoying it at home in your pajamas while you catch up on your favorite series. Thanks to their "Home Menu" frozen meal selection, you can do just that. The Garlic Chicken with Dan Dan noodles is ready in 10 minutes and oh, the aroma! It is like having the restaurant chef in your home combining all the fresh ingredients right in your kitchen! 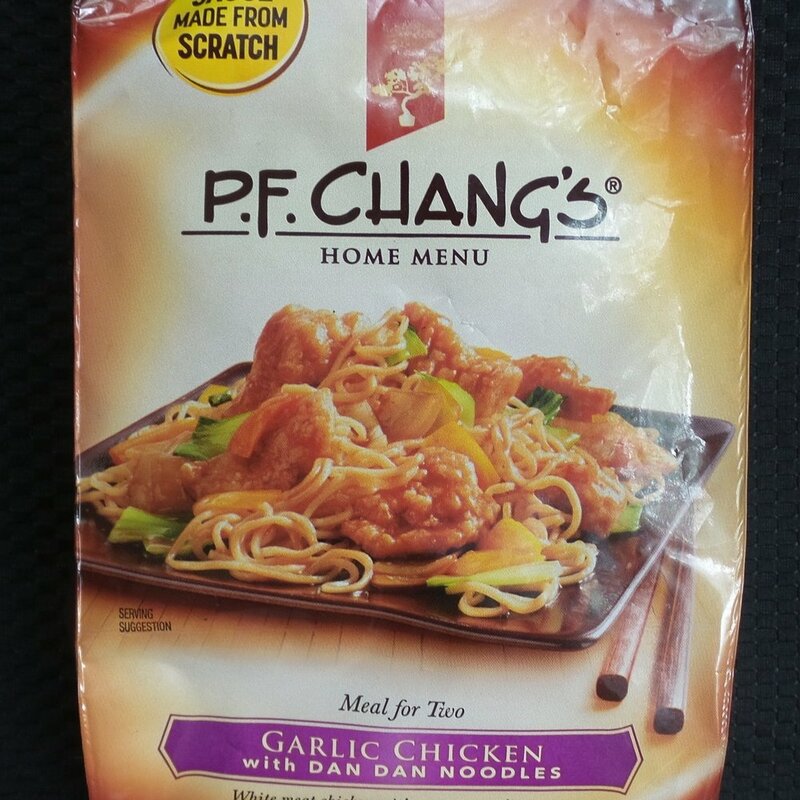 The all white meat chicken, yellow bell peppers, bok choy and yakisoba noodles are all tender, but firm and are surrounded by a savory garlic sauce that is proudly marked on the bag to be "made from scratch." No mushy vegetables or noodles in this dish! You can heat it up in the microwave or on the stove top, which is the method I prefer. (Greater aroma permeation in the kitchen). The bag indicates that there are two servings, but I usually get three. You don't have to use the whole bag at once, just reseal the bag with a clip or put the bag in a freezer bag before your return it to the freezer. You can find it in the frozen food section of your local supermarket for under $7.00. If you add a starter like a bagged chopped Asian salad, pot stickers or egg rolls, you will still be able to feed 2 to 3 people for close to $10.00.